Here’s what we know about the attacks . . . the Krebs on Security blog became the target of an attack that started on September 20, peaking at over 620 Gbps of traffic. Some reports speculate that the attack was a retaliatory strike in response to Krebs reporting on some specific information about DDoS-for-hire service providers. Regardless of the motives, the attack was notable not only for its size, but also due to the fact that the botnet that generated the majority of the traffic appears to have been built through exploiting vulnerabilities in roughly 1 million network-enabled cameras, making it the most vivid example of an IoT botnet. Just a few days later, European based hosting provider OVH was hit with an attack approaching 1 Tbps, making it by far the largest reported DDoS attack ever seen. Within a week, the source code behind the botnet (Mirai) was released, confirming the key role that IoT devices played in these attacks. Layer 7 attack detection: In the past, most very large scale DDoS attacks have leveraged network attack vectors (Layer 3/4). However, these attacks are reportedly sending through massive amounts of HTTP floods, making most Layer 3/4 attack detection methods (e.g., Netflow analysis) useless. Be sure your service provider has effective application (Layer 7) attack detection and mitigation capabilities. Hybrid, automated mitigation capabilities: According to some reports, the recent attacks ramped up with extreme speed, hitting 100 Gbps of attack traffic within 15 seconds. Successfully defending a network from such an attack really requires resources conducting multi-vector attack detection in an always-on fashion, along with an ability to automate the process of redirection of traffic to cloud based mitigation resources. Be sure your provider is utilizing hybrid mitigation capabilities, ideally leveraging same technologies on-premise and in the cloud to ease automation and speed time for effective and accurate mitigation. Separate network for DDoS mitigation: The ideal architecture features a separate, scalable infrastructure specifically for volumetric DDoS attack mitigation where attacks can be rerouted when they reach predetermined thresholds. 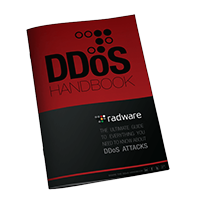 These DDoS scrubbing centers should ideally be located close to a major Internet peering point, providing the distinct advantage of not having to backhaul large amounts of traffic across a network backbone, which increase costs to the service provider and results in a necessity to drop certain customers who are under sustained volumetric attacks. IP agnostic protection: The IP address has a rapidly decreasing value in security, for a wide variety of reasons. First, the reality is that many users access the Internet through providers using dynamic hosting configuration that results in a new IP address each time they access the Internet. When you combine this with the increased mobility of today’s user, organizations are quickly faced with a challenging situation with regard to user identification. Additionally, users accessing the Internet through Network Address Translation (NAT) devices result in many devices sharing the same IP address, making it difficult to block IPs without potentially blocking legitimate users/devices. Ability to quickly scale HW needs: These attacks also highlight the advantage of being a manufacturer of dedicated DDoS mitigation hardware. Security service providers that build their services upon third-party technology will always have a stricter mitigation capacity threshold than those that have additional high-capacity gear on hand and ready for deployment as needed. For now, it appears the attacks against Krebs on Security and OVH have ended. However, they should stay in the forefront of the minds of security practitioners as indicative of the direction of large cyber security attacks. And they should also be carefully reviewed by those considering the appropriate DDoS protection strategy and service architecture for their business. Ben Desjardins drives the development of vertical and use-case specific solutions for Radware’s Security Product Portfolio. In this role, Ben focuses extensively on the competitive landscape for anti-DDoS, WAF and anti-scraping technologies. Ben has extensive experience across a wide array of security technologies and disciplines, including DDoS, DNS, SSL, Threat/Vulnerability Management, IAM and PCI-DSS and he brings nearly two decades of marketing management experience to his work at Radware, including over 12 years focused on the information security and cyber threat arenas. Additionally, Ben has led global go-to-market efforts across many industries including retail, Ecommerce, financial services, public sector and healthcare/life sciences. Hello everyone if you are forget the window10 password and you are connect the new working method to attach the working website and the presence are right working on same subject. Next PostMy Thoughts on my Recent Trip to Mexico and LATAM’s Position on Information Security: Bigger and More Expensive Means Better?